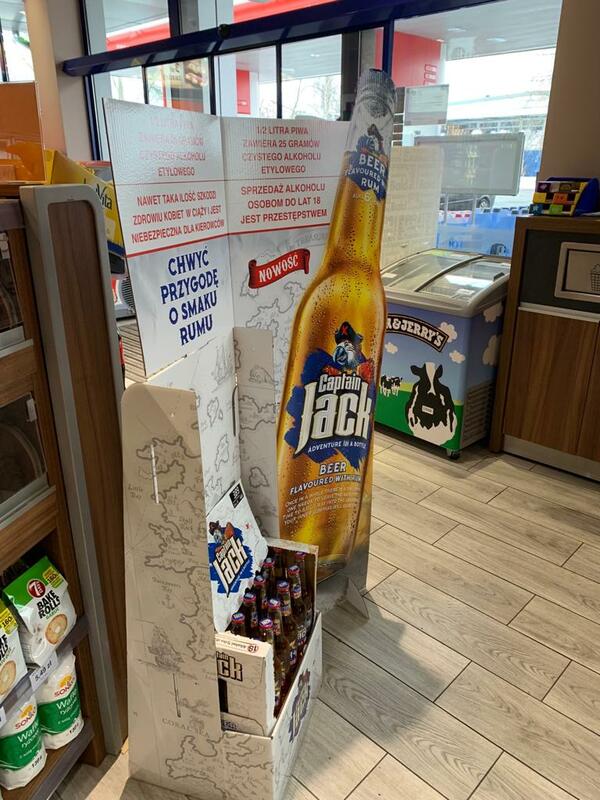 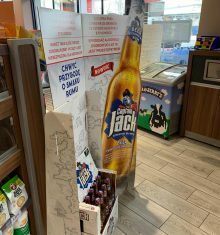 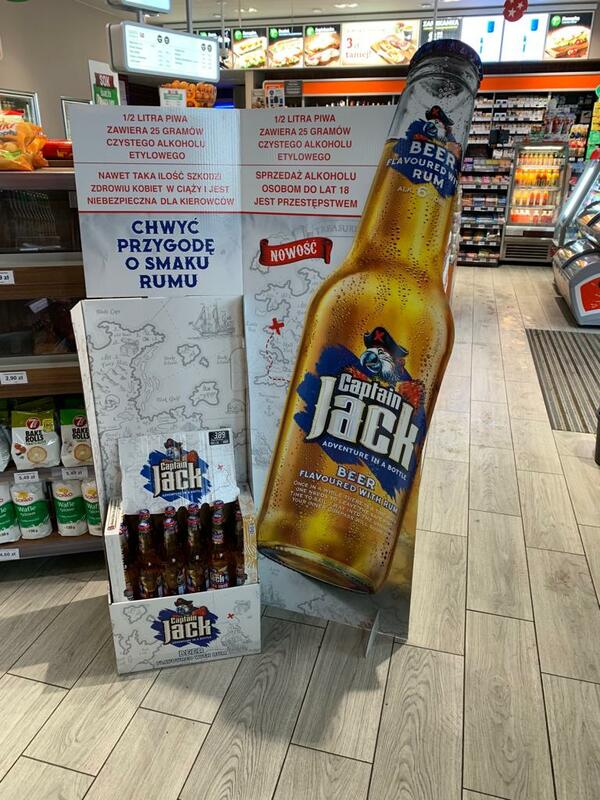 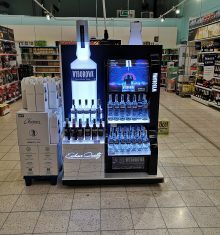 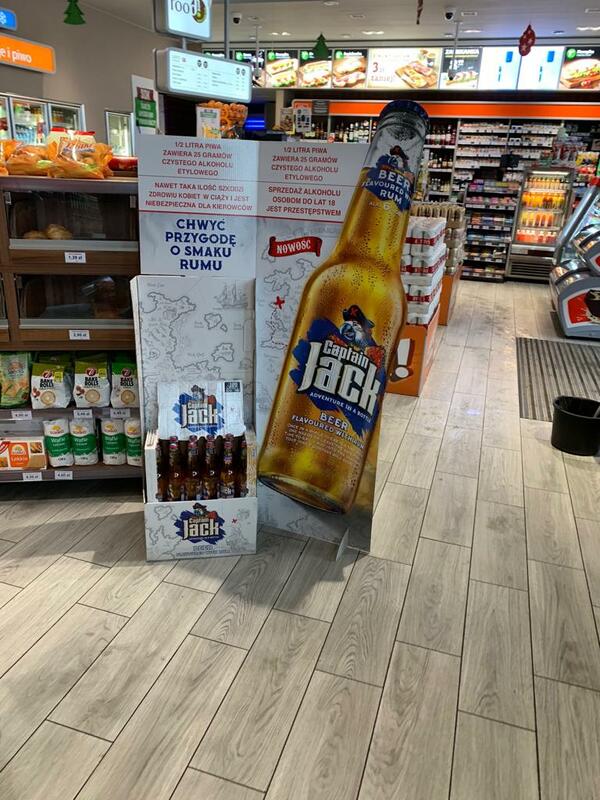 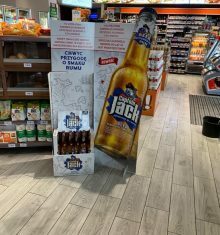 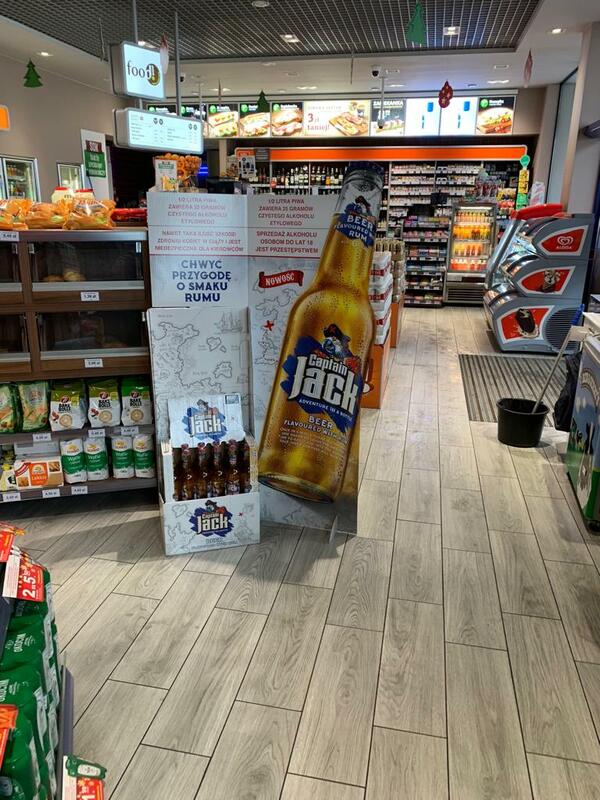 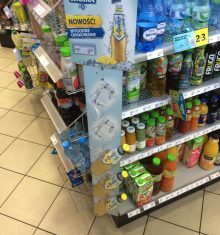 Unusual beer exposition in one of the gas stations. 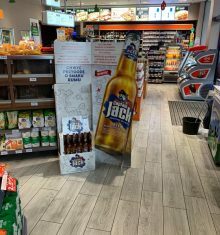 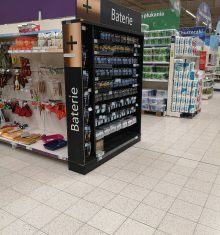 The product itself occupies a relatively small part of the stand. 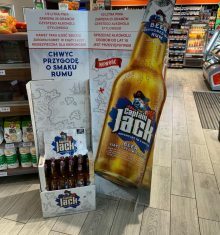 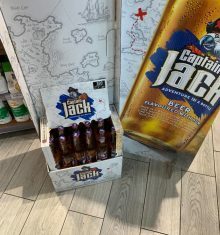 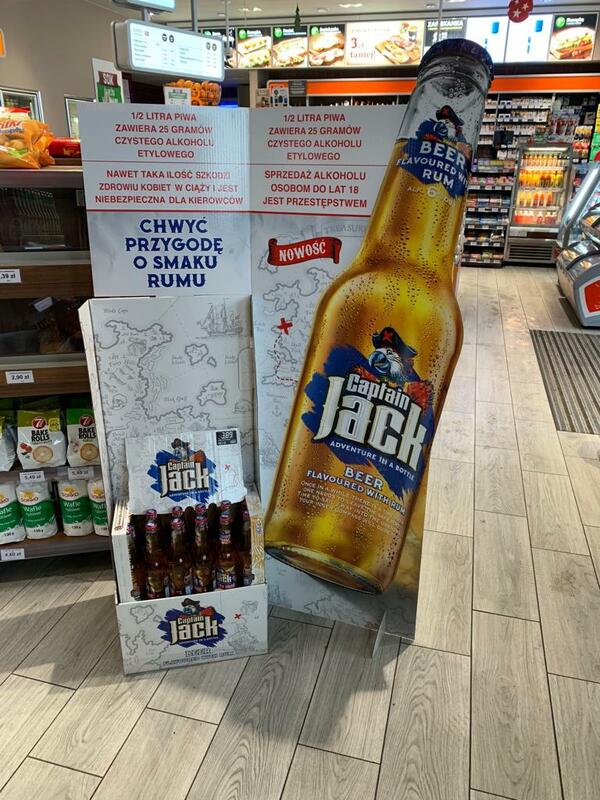 The brand focused on large artwork with a photo of a beer bottle, maps and slogan: “Grab a rum-flavored adventure”. 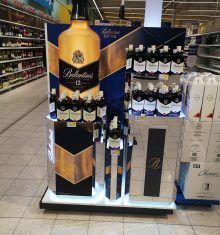 The enitirety is related to pirates, sailing, treasure hunting and symbols connected with rum. 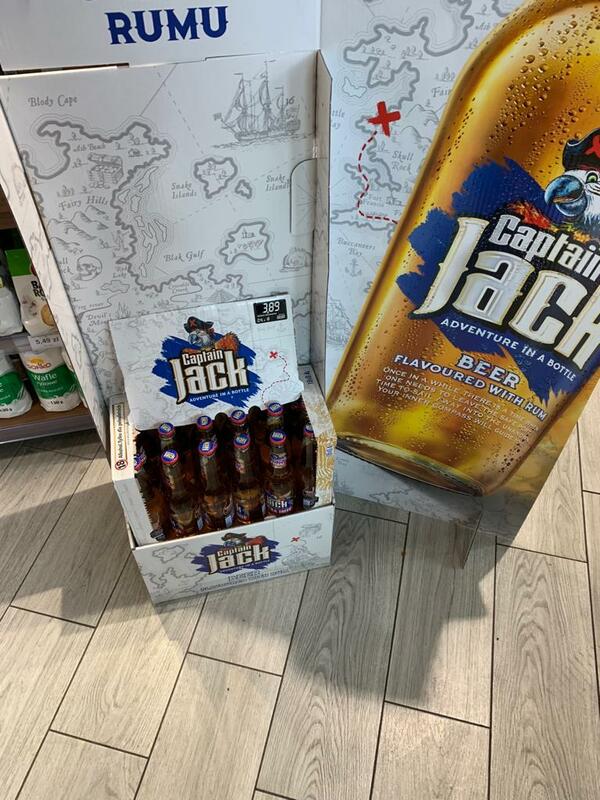 This kind of communication is sure to draw customers to the presented novelty – rum-flavored beer.